The Prairie Winds Orff Chapter was founded in 1979 by Sister Millicent Hinds, Sister Jeanette Hinds, and Teri Fay. We are dedicated Orff Schulwerk teachers in North Dakota. Our goal is to explore ways to create, sing, move, and play our way into the hearts of children through the use of Orff Schulwerk! "Hip Cats and Cool Kids"
"A Complementary Combination: Responsive Classroom and Orff Schulwerk"
Congratulations to PWO Member, Angie Dasovick on receiving our chapter's scholarship to attend Level II. Congratulations to PWO Member Lacey Roberts on receiving for Shields-Gillespie Fund Scholarship Level II. Congratulations to PWO Member Caitlin Nicks on receiving Gunild Keetman Assistance Scholarship for Level II. Prairie Winds Orff is proud to be recognized, for the first time in 2017, as a "Chapter of Distinction," the highest level of chapter recognition from the American Orff-Schulwerk Association. 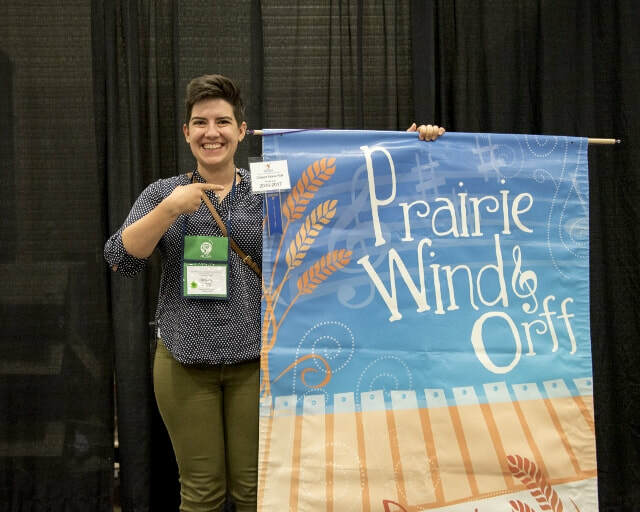 ​Prairie Winds Orff is proud to be recognized, for the second time, in 2018, as a "Chapter of Distinction," the highest level of chapter recognition from the American Orff-Schulwerk Association.